Proper nourishment is equally essential to stay healthy. Enlist your 5 favorite snacks options? Working in front of the camera calls for use of a lot of make-up. What is your skincare and hair care routine & tips for our visitors? I use Clearasil rapid action face scrub every day because my pores get clogged training and it’s a great daily exfoliator and cleanser. I use bio oil every day to keep my skin hydrated. I rarely wash my hair and when I do I use Provoke touch of silver to keep it blonde. 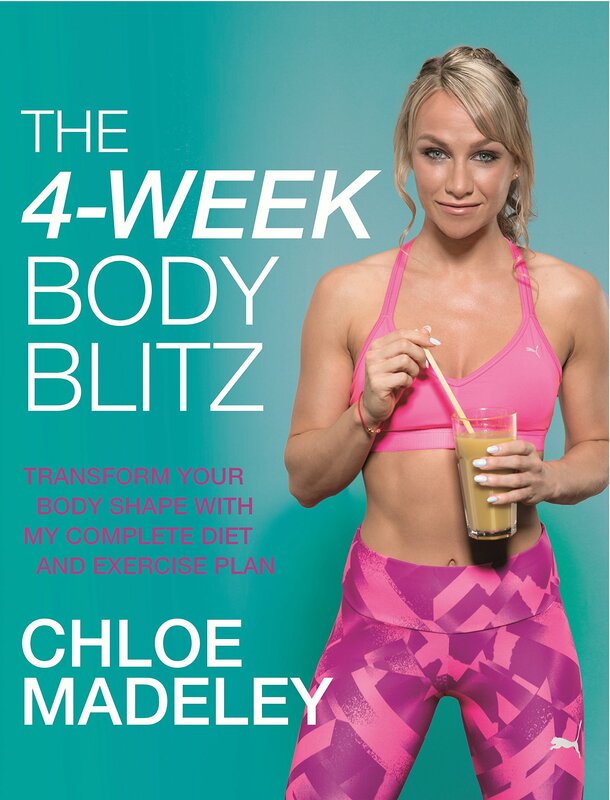 You recently released your Fitness book, The 4 Week Body Blitz. Introduce us to this book and what makes it unique? The Blitz is a body transformation guide that requires you to eat all day long and train 5x week in order to change your body in a healthy way. It is the result of 6 years of clients and photoshoots requiring short turn around body transformations, so it is tried and tested and works wonders. I am so proud of it and so happy that I have signed on to write the second book! With a massive following of over 177K followers on your Instagram account @madeleychloe you’re a social media sensation and an internet leading star. How does it feel to be a role model & an inspiration in influencing a healthy lifestyle of so many individuals? When I started out, I looked at my health and fitness idols and wondered if one day I could ever have a body or a following like them. Now that it’s happened, it feels alien to me. I am so grateful to every single one of my followers for trusting me, supporting me and engaging with me. It feels, to be honest, quite amazing to me on a daily basis.